Take an imaginary journey to the Safari! Stories, games, animal crafts, safari-themed treats and educational activities will ensure our campers become familiar with the many species that live in this part of the world. 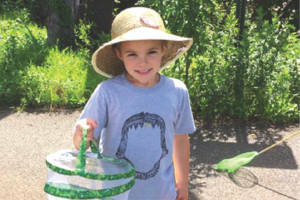 Campers will also learn about nature and gain a greater appreciation of wildlife. 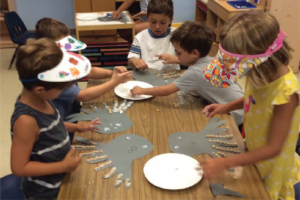 We will identify the different types of dinosaurs and learn about different fossils. 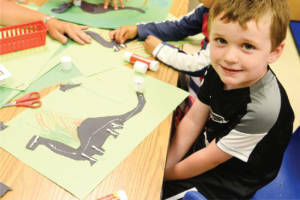 Learn fun Dino-facts, create crafts, read stories, dig for fossils and participate in hands-on experiments. Conclude the week by creating a life size jaw of a Tyrannosaurus Rex! Change colors, float/sink, explode, and create new things. We will put together our very own science journal while participating in a range of experiments. 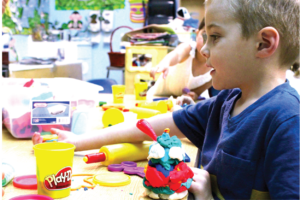 Make fun things like goop and Play Doh. Watch demonstrations using everyday items while learning about weather, magnets and nature. 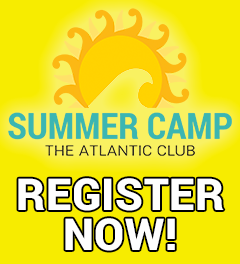 Join us in the hands on “work shop” where campers will go beyond paper, scissors and crayons. 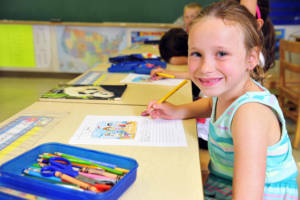 Following step-by-step directions will help with cognitive skills as projects get completed. Basic tools and various materials will be introduced to create simple projects from start to finish. During Restaurant Week, campers will break into small groups to create their very own restaurant of their dreams! Campers will choose their own menu, determine the prices, and create the look and atmosphere of their new business. We will go behind the scenes and take a trip to the café at TAC and tour the kitchen. Campers will finish the week off by preparing their signature dish! Bon Appetite! This week of camp is designed as an early childhood sports sampler. 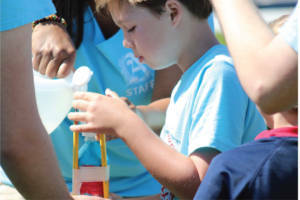 Campers experience a variety of team sports (basketball, baseball, soccer, flag football, etc.) along with basic “gym” style games. 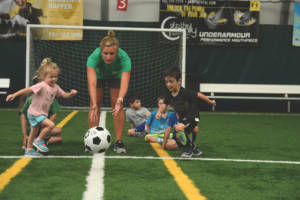 This camp is a non-competitive environment that focuses on promoting an active lifestyle while teaching campers a variety of new sports and activities. 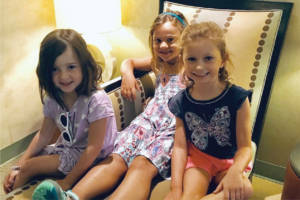 Have a tea party, play dress up, read stories and have a spa day just for us girls. Enjoy special themed days including Pinkalicious Day, American Girl Doll Day and even a Frozen themed day. Learn all about your favorite princesses, snack on delicious treats and just have fun doing things girls like to do! Welcome to the kitchen laboratory where all of our experiments are edible. 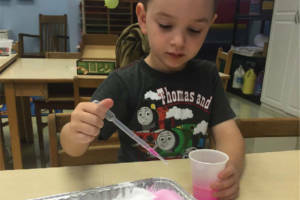 Perform chemistry and physics experiments with materials used in a common kitchen. Why do we need sifted flour? Why don’t some things mix together? How do you make rock candy? How does yeast make bread rise? Grab your fork and get ready to cook up some science! 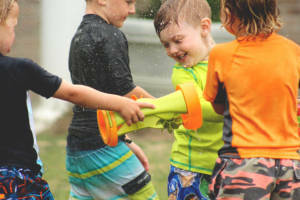 Let’s do all the fun things that boys love to do: play with Legos, construct and fly our own paper airplanes, run through obstacle courses, play soccer and football, launch a rocket, run relay races, take nature walks, and much more. We will even learn about our favorite superheroes and make our own masks. We got that beat! Join us for a week of jumping (tucks, toe touches, straddles), stunting (base and back-spot), dancing, conditioning and strengthening. 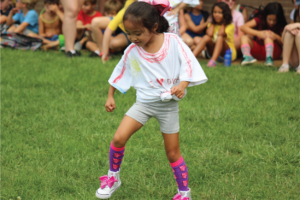 Campers will learn new cheers for a variety of sports and events. We will cheer for our parents and friends on the last day of cheer camp. Learn the ins and outs of meal prepping & planning. Create all sorts of delicious simple dishes along with scrumptiously sweet dessert treats. 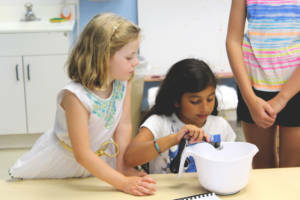 Campers will learn how to properly measure ingredients, read recipes, and even design their own recipe books to take home. 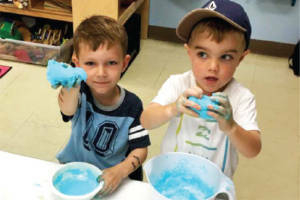 In this camp we will explore our creativity through painting, drawing, and sculpting. This hands-on program will enhance the campers’ knowledge of several major artists throughout our time while creating our own one-of-a-kind masterpieces. Learn about the 5 oceans, analyze coral reefs, and identify many of the creatures that call the ocean their home. We will create projects to represent oceanic life, make ocean-themed snacks, learn new songs and much more. We will also talk about the importance of keeping our oceans clean and the negative effects of pollution. Join the band! Our Junior Get Started program is a group rehearsal where beginners jump right in and start making music immediately. Introduce your child to guitar, ukuleles, drums, keyboards, and vocals. 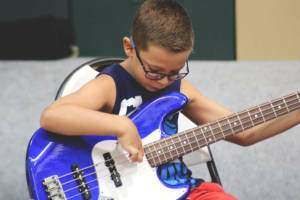 Professional musicians from ‪Lakehouse Music Academy will make each camper feel like a rock star. Students will learn about different instruments and music fundamentals through songs and melodies. Campers will perform for their friends and family on the last day of camp. Learn what you need to know and what every parent wants in a responsible babysitter. 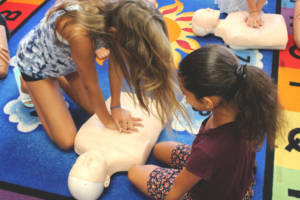 All participants will receive an introduction to CPR and First Aid Skills Class, a certificate of completion in this course, and even your own business card and resume you will help design. This camp will teach which toys are safe, age appropriate games and activities, how to deal with bed time issues, important ways to handle an emergency situation, and provide tips for having a safe babysitting experience while building confidence. We will even learn how to make our own first aid kits to have for emergencies. PLEASE NO CELL PHONES IN CLASS. Our astronauts will explore the galaxy through hands-on experiences, interactive space journeys, games and space-themed crafts. Learn about the sun, planets, moon and other things in the solar system. Discover the concepts of weightlessness and gravity and it’s affects on astronauts. We welcome all Padawans to begin their Jedi Training with us. 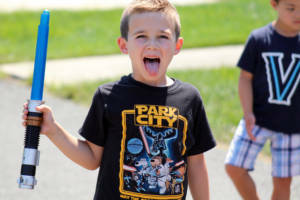 Throughout the week, these Padawans will be challenged daily with Jedi trials, Jawa scavenger hunts, Pod Racing, themed snacks and art activities, and much, much more. Learn what it takes to truly become a Jedi Knight. 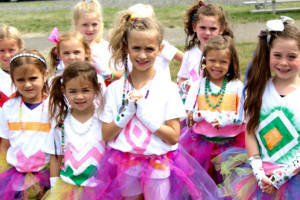 Campers will be introduced to everything from personalizing clothing to jewelry making. At the end of the week, we will put on a Fashion Show for friends and family displaying the new fashions we have created. Awaken your inner artist and come paint with us! Together we will learn how to paint our own masterpieces on both canvas and wood. Follow our art teacher’s series of tips and tricks in a step-by-step group-painting lesson. 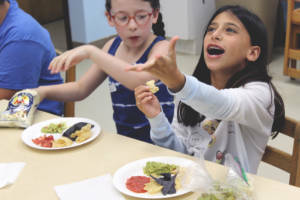 Students will be provided enjoyable hands-on basic “cooking experiences” that are theme-based to a story. 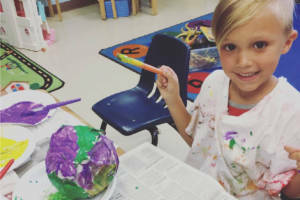 Our little bakers will build on self-confidence as they successfully follow the recipes in class and create many delicious snacks and desserts to eat. 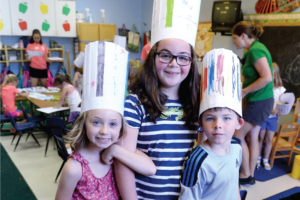 Campers will bring home a recipe book they have created in class. 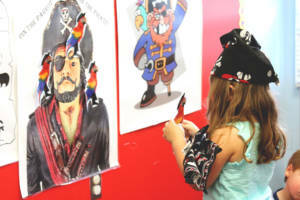 Join us for a swashbuckling high seas adventure while following treasure maps to buried treasure, learning pirate lingo and dressing up like pirates. 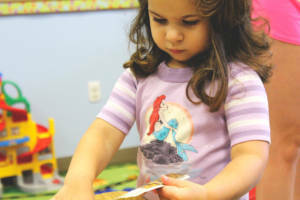 The “crew” will make their own pirate gear with everything from hats to flags, read pirate books, sing new songs and create a pirate ship for the classroom during this very popular enrichment class. Hurry, this camp fills fast!! Actors will practice acting skills through role-play, dramatic exercises, pantomimes, characterizations and skills. Our thespians will learn to take directional cues, memorize individual parts, and create simple scenery, as the play requires. Parts are given out in the first week of this camp. 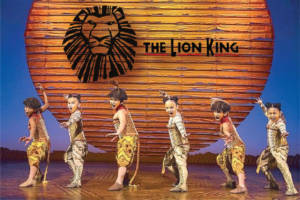 The cast and crew will produce our summer camp’s version of “The Lion King”. The performance will be on the last day of this camp. 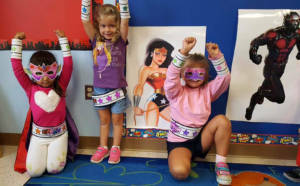 Campers will design their own logos, masks, capes and more in order to create the perfect secret identity. Our heroes will develop their own super powers and train to use them. They will even be tested with a super-charged obstacle course. Boy and girl super heroes welcome. Let’s include the “A” for Arts into S.T.E.M. In this camp we will think outside of the box. S.T.E.A.M. encourages unique solutions, inventive thinking, and problem solving. 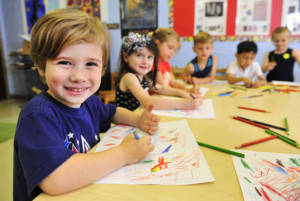 Prepare these little minds for critical thinking and problem solving skills through fun and exciting hands-on activities. S.T.E.A.M. activities can help prepare your child for an unknown future. Pin the tail on Eeyore and the nose on Olaf, play Monster eyeball toss and Mater’s tire toss. Go with Ariel on an under the sea adventure. Let’s start with our favorite Disney movies and end with a dance to our favorite songs! We will even learn where all the different Disney movies are set in the world in our “it’s a small world” activity. 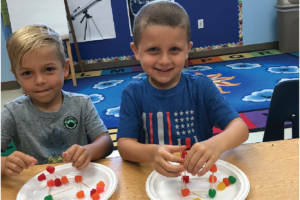 In this program, children who are entering Kindergarten or First Grade can end the summer by building skills and confidence with our Getting Ready program for his/her upcoming grade level. Certified teachers will review and prepare your child to excel with a new confidence and a great head start for a year of success. This camp is separated into two classrooms and instructors by grade entering. Learn a mix of hip-hop and jazz movements. This will be a fun interactive experience for children to break out of their shell and dance the day away! Boys and girls welcome. No experience is needed to come dance with us!